For trade shows and meetings, a short term copier and printer rental is a necessity! How many times have you been at a meeting or trade show and needed to make copies of paperwork or print something out? Being without the tools necessary for your event can be debilitating. 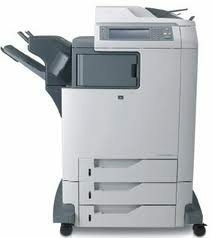 LV Exhibit Rentals is happy to help by offering copiers and printer rentals for your next event! To learn more about how you can rent a copy machine for your next event, give us a call at 702-312-1455 or email rental@www.lvexhibitrentals.com!